We have weekly class meetings in our school as part of our anti-bullying program. 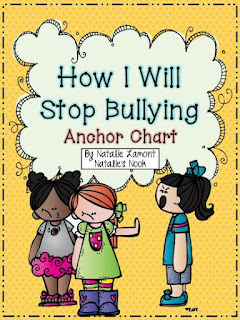 This week I used Natalie's How I Will Stop Bullying Anchor Chart and class book. We discussed what bullying is and how we can stop it when it does happen. With all of our efforts to stop bullying, it does still exist and students need to know what to do when they see it happening. I printed Natalie's anchor chart and it is hanging up in our room. We also made the book that goes with it. We listed as many things as we could think of to prevent bullying and how to stop it when we see it happening and then students put their book together to take home as a reminder. 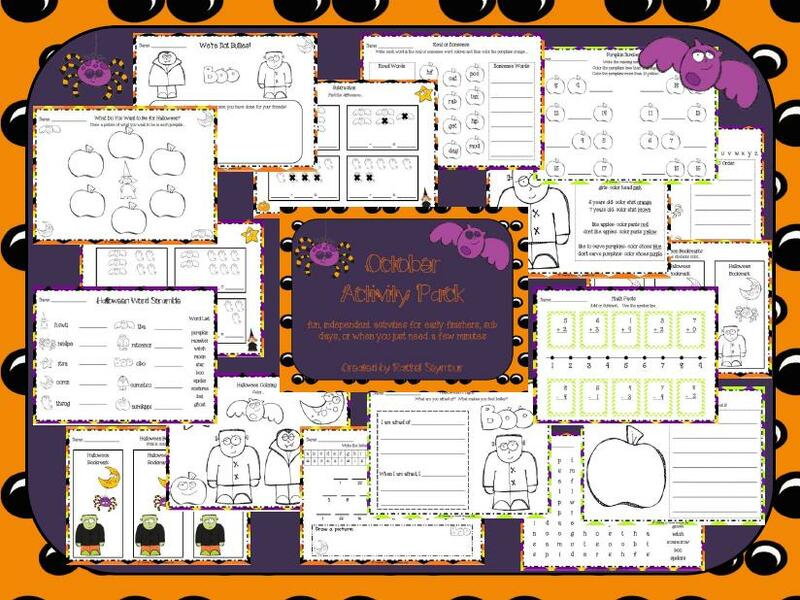 I also finished up my October Activity Pack this week. 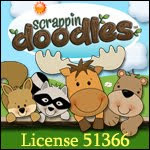 Click on the first picture below to go grab it at my TpT store. It's on *sale* for only $1.50 until Sunday. I'll give this away to the first 3 people who leave me a comment! I can't believe it's almost October already!! 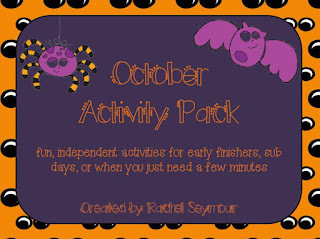 It looks like a great pack for October! I will be passing along the bullying lesson to our guidance counselor! I'm excited to look at the bullying resources! Wow ladies, you were quick! :) I'm emailing it out to you now! Thanks for posting about the anti-bullying anchors... they look great!